1972. The Supremes – Mary Wilson, Cindy Birdsong, and Jean Terrell - were at the height of their post Ross popularity. Smokey Robinson wrote and produced their album Floy Joy, released in the spring of that year, and its title track was a huge hit. Alternating lead vocals between Mary and Jean, fans adored this track and it remains one of their most popular releases. Birdsong had gone on maternity leave shortly before the album’s release, being replaced by Lynda Laurence, and it’s Laurence who appears in the video from Soul Train displayed here. The group sounded fantastic and Floy Joy again took them to the top of the charts. 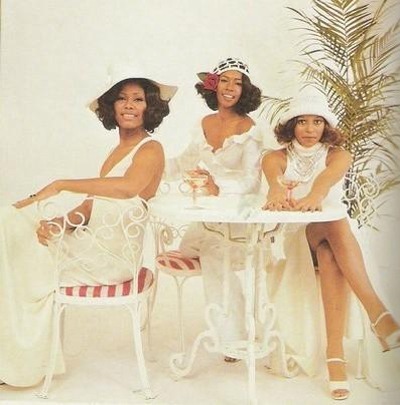 With Robinson’s original touches and matchless prowess as a songwriter, the formula was stacked without question in The Supremes’ favor. Still a radio favorite, Floy Joy is a song that gets in your head and keeps you humming its melody for hours. Like the group that recorded it, this track is Supreme. 1787 - Pennsylvania became the second state to ratify the U.S. Constitution. 1792 - In Vienna, 22-year-old Ludwig van Beethoven received one of his first lessons in music composition from Franz Joseph Haydn. 1800 - Washington, DC, was established as the capital of the United States. 1805 - Henry Wells was born in Thetford, VT. He was one of the founders of the American Express Company and he teamed up with William Fargo to form the Wells Fargo Company. 1863 - Norwegian painter Edvard Munch was born. His most known work is "The Scream." 1870 - Joseph H. Rainey of South Carolina became the first black lawmaker to be sworn into the U.S. House of Representatives. 1896 - Guglielmo Marconi gave the first public demonstration of radio at Toynbee Hall, London. 1897 - The comic strip"The Katzenjammer Kids" (Hans and Fritz), by Rudolph Dirks, appeared in the New York Journal for the first time. 1899 - George Grant patented the wooden golf tee. 1900 - Charles M. Schwab formed the United States Steel Corporation. 1901 - The first radio signal to cross the Atlantic was picked up near St. John's Newfoundland, by inventor Guglielmo Marconi. 1912 - The Mother's Day International Association was incorporated with the purpose of furthering meaningful observations of Mother's Day. 1915 - The first all-metal aircraft, the German Junkers J1, made its first flight. 1917 - Father Edward Flanagan opened Boys Town in Nebraska. The farm village was for wayward boys. In 1979 it was opened to girls. 1925 - The "Motel Inn," the first motel in the world, opened in San Luis Obispo, CA. 1937 - Japanese aircraft sank the U.S. gunboat "Panay" on China's Yangtze River. Japan apologized for the attack, and paid $2.2 million in reparations. 1946 - A United Nations committee voted to accept a six-block tract of Manhattan real estate to be the site of the UN's headquarters. The land was offered as a gift by John D. Rockefeller Jr.
1947 - The United Mine Workers union withdrew from the American Federation of Labor. 1951 - The U.S. Navy Department announced that the world's first nuclear powered submarine would become the sixth ship to bear the name Nautilus. 1955 - It was announced that the Ford Foundation gave $500,000,000 to private hospitals, colleges and medical schools. 1955 - British engineer Christopher Cockerell patented the first hovercraft. 1963 - Kenya gained its independence from Britain. 1975 - Sara Jane Moore pled guilty to a charge of trying to kill U.S. President Ford in San Francisco the previous September. 1982 - 20,000 women encircled Greenham Common air base in Britain in protest against proposed cite of U.S. Cruise missiles there. 1983 - Car bombs were set off in front of the French and U.S. embassies in Kuwait City. Shiite extremists were responsible for the five deaths and 86 wounded. Total of five bombs went off in different locations. 1984 - In a telephone conversation with U.S. President Reagan, William J. Schroeder complained of a delay in his Social Security benefits. Schroeder received a check the following day. 1985 - 248 American soldiers and eight crewmembers were killed when an Arrow Air charter crashed in Gander, Newfoundland after takeoff. 1989 - Britain forcibly removed 51 Vietnamese from Hong Kong and returned them to their homeland. 1989 - Leona Helmsley was fined $7 million and sentenced to four years in prison for tax evasion. 1994 - The Brazilian Supreme Court acquitted former President Fernando Collor de Mello of corruption charges that had forced him to resign in 1992. 1994 - IBM stopped shipments of personal computers with Intel's flawed Pentium chip. 1995 - The U.S. Senate stopped a constitutional amendment giving Congress authority to outlaw flag burning and other forms of desecration against the American flag. 1995 - Two French airmen shot down over Bosnia arrived home after almost four months of being held captive by the Bosnian Serbs. 1997 - Ilich Ramirez Sanchez, the international terrorist known as "Carlos the Jackal," went on trial in Paris on charges of killing two French investigators and a Lebanese national. He was convicted and sentenced to life in prison. 1997 - The U.S. Justice Department ordered Microsoft to sell its Internet browser separately from its Windows operating system to prevent it from building a monopoly of Web access programs. 1998 - The House Judiciary Committee rejected censure, and approved the final article of impeachment against U.S. President Clinton. The case was submitted to the full House for a verdict. 2000 - The U.S. Supreme Court found that the recount ordered by the Florida Supreme Court in the 2000 U.S. Presidential election was unconstitutional. U.S. Vice President Al Gore conceded the election to Texas Gov. George W. Bush the next day. 2000 - Timothy McVeigh, over the objections of his lawyers, abandoned his final round of appeals and asked that his execution be set within 120 days. McVeigh was convicted of the April 1995 truck bombing of the Alfred P. Murrah Fedal Building in Oklahoma City, OK, that killed 168 and injured 500. 2000 - The Texas Rangers signed Alex Rodriguez to a record breaking 10-year, $252 million contract. The contract amount broke all major league baseball records and all professional sports records. 2001 - The U.S. House of Representatives passed legislation that would implement minimum federal election standards and provide funding to help states modernize their voting systems. 2001 - Gerardo Hernandez was sentenced to life in prison for being the leader of a Cuban spy ring. His conviction was based on his role in the infiltration of U.S. military bases and in the deaths of four Cuban-Americans whose planes were shot down five years before. 2001 - In Beverly Hills, CA, actress Winona Ryder was arrested at Saks Fifth Avenue for shoplifting and possessing pharmaceutical drugs without a prescription. The numerous items of clothing and hair accessories were valued at $4,760. 2002 - North Korea announced that it would reactivate a nuclear power plant that U.S. officials believed was being used to develop weapons. The title track from Cher’s platinum 1989 album, Heart of Stone was a Top 20 hit that rocks like the best of them. This track gave the LP its identity and it was a perfect follow up to If I Could Turn Back Time. Cher looks great in the video too. For a woman who’d done it all by this point, this was a remarkable bounce back into the world of pop music for her. Coming just a year after her Oscar win for Moonstruck, Heart of Stone gave Cher a big boost into the 90’s. The whole album just sparkled. Every song on it sounded like it had been written specifically for Cher and her vocals had never been better. She was at her undisputable best with this collection. 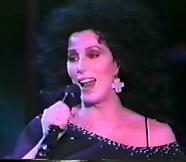 Remaining a perennial favorite among her fans, Cher gives a tour de force performance on Heart of Stone. The song, the arrangement, the singer, the whole enchilada, this one just keeps delivering as time goes by.